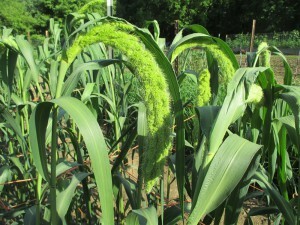 Also known as “Italian millet”. 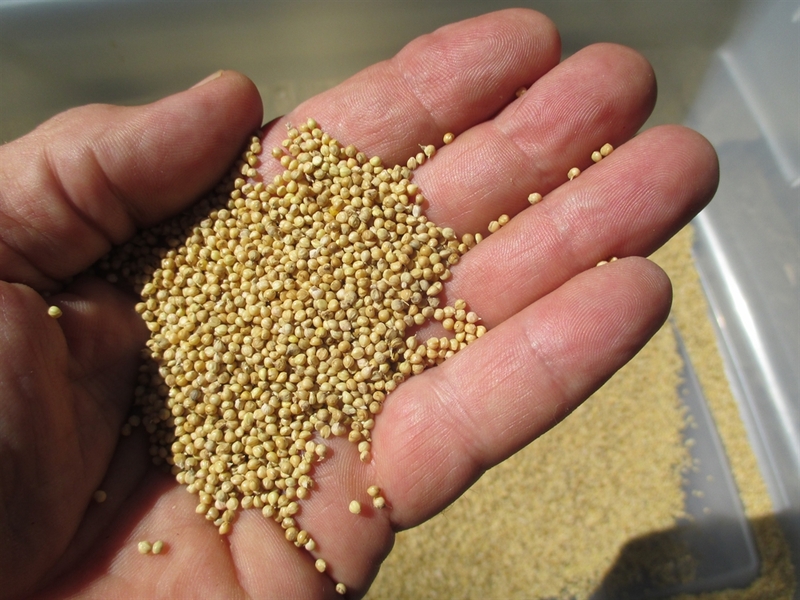 I obtained this seed from KUSA. This strain grew very well and produced large, pendulous grain heads. Like Hell’s Canyon, the grains will need de-hulled before using. This cultivar may benefit from support once the grain heads are developing, as they become very heavy and can break or lodge during heavy rains. Makes a superb, nourishing golden porridge. I have included info on de-hulling millet below.